Pilates is a form of exercise that aims to improve and condition your muscular and postural strength by focusing on your core. The movements include diaphragmatic breathing, pelvic floor muscles, back muscles that are key to good posture, balance and strength. All of these components are significantly impacted with pregnancy. During pregnancy, the abdominal (tummy) muscles expand to make room for the growing baby. This stretching can result in the muscles becoming weaker in particular the deep abdominal muscles. They are responsible for providing support to your back. There is also a change in hormones. The hormone relaxin is released during pregnancy to soften the ligaments and joints especially around the pelvis in preparation for delivery. The combination of these changes along with posture changes may impact movement and result in pain. By focusing on keeping the muscles strong, pilates helps to reduce the stress on the body, prevent pain and assist in a smoother labour and delivery. The pregnancy Pilates course is designed specifically for pregnant women. This means that the exercises are tailored to meet your needs. Considerations are placed around positions that are not only comfortable, but appropriate to allow you to move safely and effectively. As a physiotherapy led class, we encourage open communication with your main care providers. Before commencing a course, each participant is assessed to ensure you are suitable to participate. If you are in your first or last trimester and wish to start, we encourage you to speak to your main health care provider before starting. As long as there are no medical complications or contraindications pregnancy is an ideal time not only for continuing, but also for initiating a supervised, individualized exercise program. Evidence from recent studies indicates that, in previously sedentary women, who engaged in a combination of mild to moderate aerobic and strength exercise were able to maintain a healthy weight range, prevent complications such as gestational diabetes, preeclampsia and foetal macrosomia. A wide variety of exercises that incorporate mat, gym ball and barre. Exercises can easily be incorporated into your home program to allow you to continue to get the full benefits away from class. What have past participants said about the class? Spots fill up fast so get in quick to avoid disappointment. 1) Balogh A. Pilates and pregnancy [Review]. RCM Midwives. 2005; 8(5): 220-2. 2) Conditioning by Pilates. Harvard Women’s Health Watch. 1999; 6(5): 7. 3) Robinson L. Pilates in pregnancy: The Body Control method. Practicing Midwife. 2007; 10(3): 24-6. 4) Chiarelli P, Bower W, Wilson A, Attia J, Sibbritt D. Estimating the prevalence of urinary and faecal incontinence in Australia: Systematic review. Aust J Ageing. 2005; 24(1): 19-27. 5) American College of Obstetricians and Gynaecologists (ACOG). Physical Activity and Exercise During Pregnancy and the Postpartum Period. Obstet Gynecol. Dec 2015;126(6):e135-142. pregnancy in normal-weight women and risk of preterm birth: asystematic review and meta-analysis of randomized controlled trials. Am JObstet Gynecol. Nov 2016;215(5):561-571. 7) Barakat R, Pelaez M, Cordero Y, et al. Exercise during pregnancy protects Against hypertension and macrosomia: randomized clinical trial. Am J Obstet Gynecol. May 2016;214(5):649 e641-648. Tafy is passionate about active living and physical health in women throughout all stages of life, in particularly pregnancy and childbirth. She has seen the benefits of movement when it comes to keeping strong and fit during pregnancy and is a great preventative measure in maintaining and keeping good health. She has over 13 years of clinical experience with the last 10 years focused on working with women. Alongside being in private practice, Tafy is a physiotherapist at the Royal Womens Hospital and is a sessional tutor at the University of Melbourne. She has completed DMA Pilates training in addition to her postgraduate training in Women’s Health and Pelvic Floor and Incontinence. Tafy is passionate about active living and physical health in women throughout all stages of life, in particular pregnancy and childbirth. She has seen the benefits of movement when it comes to keeping strong and fit during pregnancy and a great preventative measure in maintaining and keeping good health. She has over 13 years of clinical experience with the last 10 years focused in working with women. 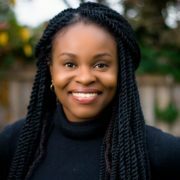 Alongside private practice work, Tafy is a physiotherapist at the Royal women’s Hospital and sessional tutor at the University of Melbourne. She has completed DMA Pilates training in addition to her postgraduate training in Exercise for Women and Pelvic Floor and Continence. Tafy combines her years of clinical experience and education to provide a comprehensive, whole- person approach to recover,restore and empower you in achieving your goals. Outside of work she enjoys traveling, spending time with family, parkrun and keeping up with her three very active boys.